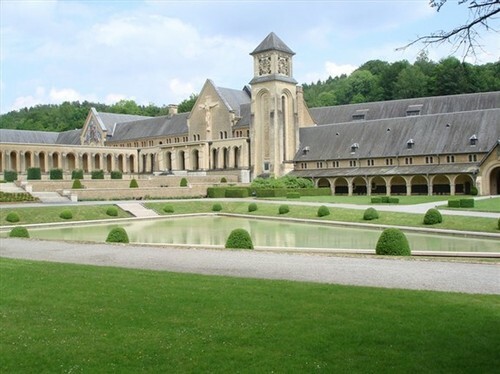 The southernmost part of Belgium, the Gaume region is our "Provence". It even benefits from a micro-climate that makes it warmer and sunnier than any other part of the country. It even has its own vineyards in Torgny. Capital of the Gaume, Virton is the centre from where to visit the Gaume, the southernmost part of the province and already very French in its architecture, cultural heritage and atmosphere. A visit of the region should start by a visit to this remarkable museum showing the multiple facets of the Gaume of today and yesteryear. - The new wing or archaeological space : A unique collection of artefacts discovered in archaeological diggings throughout the Gaume and covering the period from pre-historical days to the late medieval era. - Gallery of "Gaumais" fine arts : The great tradition of Gaumais artists started in mid 19th century and is still alive to this day. There is also a section covering traditions and religious practices.